Nobody has added any facts about 1. 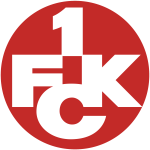 FC Kaiserslautern II. Nobody has added any 1. FC Kaiserslautern II links.